MONTHLY DONORMay you be well, safe, happy, healthy, and fulfilled. Jill joined Watsi on March 12th, 2013. Four years ago, Jill became the 403rd member to automatically support a new Watsi patient every month. Since then, 4,689 more people have become monthly donors! 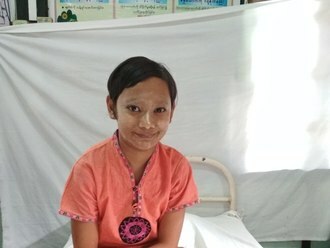 Jill's most recent donation traveled 8,300 miles to support Ma Saung, a girl from Burma, to fund corrective surgery. Jill has funded healthcare for 55 patients in 13 countries. Evalyne is a young student from Kenya. She is the last born in a family of six children. Her father practices subsistence farming to support his family. Evalyne was born with an anorectal malformation, a congenital abnormality that leads to a complete or partial intestinal blockage. She needs to undergo a series of procedures to eliminate bowel dysfunction. Evalyne is scheduled to undergo surgery to correct her condition on February 4. Our medical partner, African Mission Healthcare Foundation, is requesting $1,327 to cover the total cost of Evalyne's procedure and care. After her recovery, Evalyne will no longer experience bowel dysfunction or be at risk of developing health complications in the future. “I want to be a doctor when I grow up, to help children not to feel bad like me,” says Evalyne. Baby is a baby from Ethiopia. His mother is from Addis Ababa, and she works in an insurance company as a finance officer. She is a single parent. Baby was born with hypospadias, a congenital abnormality that causes urinary dysfunction. Without treatment, he will continue to experience uncomfortable symptoms and will be at risk of infertility. Fortunately, Baby is scheduled to undergo corrective surgery on January 1. Our medical partner, African Mission Healthcare Foundation, is requesting $1,231 to cover the total cost of his procedure and care. “I struggle financially with home rent and other expenses and my saving is limited to cover his medical bill. And I am here with a hope that he gets the surgery," his mother says. Maxwell is a retired builder from Malawi. He has seven children and ten grandchildren and enjoys chatting with his friends in his free time. He also enjoys working on his family farm to help support his large family since retirement. Since 2014, Maxwell has been experiencing pain and urinary difficulty. These symptoms are caused by an enlarged prostate, a condition called benign prostatic hyperplasia. He needs to undergo a prostate resection surgery, a procedure in which surgeons will remove part of the enlarged gland. Our medical partner, World Altering Medicine, is requesting $733 to fund Maxwell's surgery. 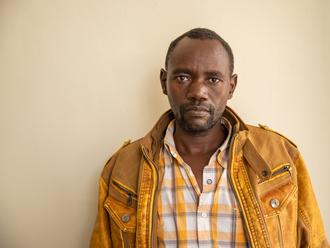 On November 8, he will undergo prostate surgery at Nkhoma Hospital, our medical partner's care center. The requested money pays for supplies, medications, and two weeks of hospital stay. He has been waiting for five years to receive this surgery, which he knows will make a huge impact on his life. He says, "This program is very beneficial! Thank you so much for assisting me!" Nar is a four-year-old girl from Burma. She lives with her parents, grandparents, and two aunts in Mawlamyine City in Mon State. Just before she turned two, her mother noticed a small lump on her neck. The mass became larger as she grew. Her mother took her to several hospitals for possible treatment. At our medical partner's care center, her doctor recommended a surgery to remove the benign tumor. She is now scheduled to undergo mass removal surgery on August 27. Her family is requesting $1,500 to cover the total cost of her procedure and care. Iden is a baby from Tanzania. He is the second born in a family of two children. His father is poultry farmer and owns a small shop that helps him to provide for his family. Iden has clubfoot of her right foot. Clubfoot is a condition in which the foot is twisted out of shape. This causes difficulty walking and even wearing shoes. Fortunately, Iden traveled to visit our medical partner's care center, AIC Cure International Hospital. There, surgeons will perform clubfoot repair surgery on June 6. Our medical partner, African Mission Healthcare Foundation, is requesting $890 to fund Iden's clubfoot repair. After treatment, he will be able to walk when he gets older.. Iden’s father says, “Please help my child get the treatment for his legs. We really do not want him to grow up with a disability that is going to hinder him from living a normal life and having same opportunity like other kids." Faith is a baby from Kenya. She is the youngest in a family of eight children. She lives with her parents and siblings in a one-room house in the Rift valley region of Kenya. Faith was born with spina bifida, a type of neural tube defect in which the spine does not properly close around the spinal cord. Without treatment, Faith is at risk of lower-limb paralysis, infection of the exposed nervous tissue, development of tethered cord syndrome, and possible developmental delays. Our medical partner, African Mission Healthcare Foundation, is requesting $1,097 to cover the cost of Faith's spina bifida closure surgery. The procedure is scheduled to take place on June 6. This procedure will hopefully spare Faith from the risks associated with her condition, instead allowing her to grow and develop along a healthy trajectory. “I am still in shock and trying to recover from the fear of this nightmare condition my child suffers,” shares Faith’s mother.